Moscow might not be at the top of most travelers' winter vacation lists—especially considering the city's bitterly cold temperatures. But maybe it should be: While the typical forecast of frigid temperatures and dustings of snow calls for heavy-duty, warm weather clothing, a January visit to this historic city is unique and unlike visiting at any other time of year. In film and literature, Russia is often portrayed during the winter, so if you're hoping to see the remarkable architecture, cozy fur hats, and hearty food and drink for yourself, there is no better time than winter to do so. Moscow's bitterly-cold winter is usually accompanied by ice and snow. The city's many winter storms can affect both air and car travel in the area, so be prepared. Still, despite an average overall temperature of 20 degrees Fahrenheit (-7 degrees Celsius) and potential logistical challenges, the entire city looks stunning covered in a thick blanket of glittering snow! One very rare hazard: The long spells of cold temperatures can create long dangerous icicles which are thick and heavy. A few deaths from falling icicles happen every year in Russia. Packing for winter weather is always a challenge, given that winter attire is more cumbersome and typically pricier than summer's breezy duds, but it's a must for a winter visit to Moscow. If you're traveling to Moscow in the winter, you'll want to pack as if you're going skiing. Include lots of layers, plenty of warm-weather accessories to cover your hands, head, and even your face, as well as sturdy, waterproof footwear that offers excellent traction and warmth. Ideally, you'll also pack an insulating coat that falls below the hip. Since you'll be outdoors sightseeing and walk from place to place, you'll want to pack much warmer than you would for similar temperatures at home. Moscow’s winter event lineup includes special events that travelers can’t experience any other time of year. 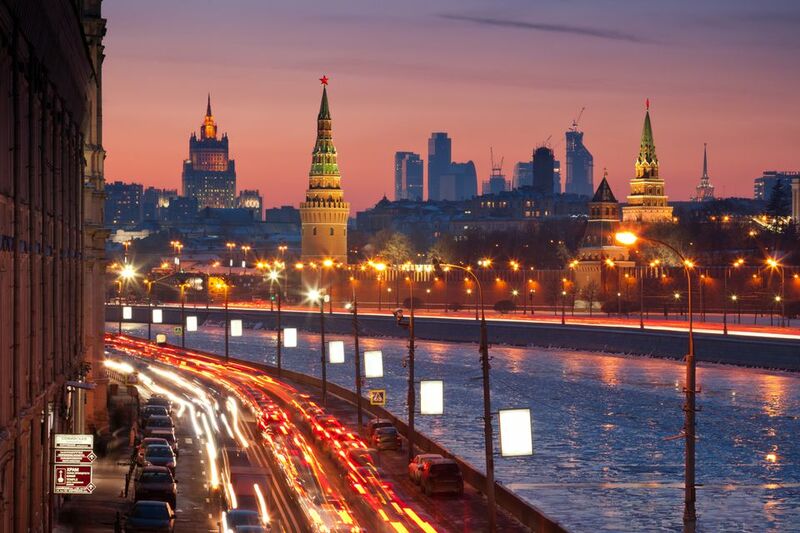 New Year’s Eve in Moscow is one of the most significant events of the year. Though some people head to Red Square to await the fireworks display, others opt for ringing in the holiday while attending private parties or events. It can be freezing in Red Square, and you won't easily be able to leave before the fireworks display, so plan your visit accordingly should you decide to take part in this celebration. January 1 is New Year's Day in Moscow. Some Russians may also celebrate an alternative New Year (Stary Novy God, or Old New Year) on January 14. January 7 is Christmas in Russia, which is celebrated by many Orthodox Christians throughout the country. Sviatki, Russian Christmastide, starts after Russian Christmas and runs through January 19. Be sure to check out the Russian Winter Festival, which serves to turn the cold weather into an opportunity for fun. January is a culturally rich month in Moscow, and the cold weather fails to get the locals down. Though the cold may be shocking, do your best to seek out events that make the most of winter in Moscow. The New Year's Trees around Moscow should stay up at least until Orthodox Christmas, so be sure to enjoy their seasonal beauty. One way to beat the cold? Spend hours in Moscow's famous museums, such as the Tretyakov Gallery, the State Armory Museum, or the Pushkin Museum of Fine Arts. Getting a visa for Russia can be a stressful and arduous process, so using a visa agency can be useful. There are no standard opening days and times for Russia's many museums and historical attractions. Research ahead of time to best plan your days and decide what to visit and when. Navigating the beautifully elaborate Moscow metro system is more challenging than many other European cities. Be sure to carry a map written in English and Russian for ease of travel.